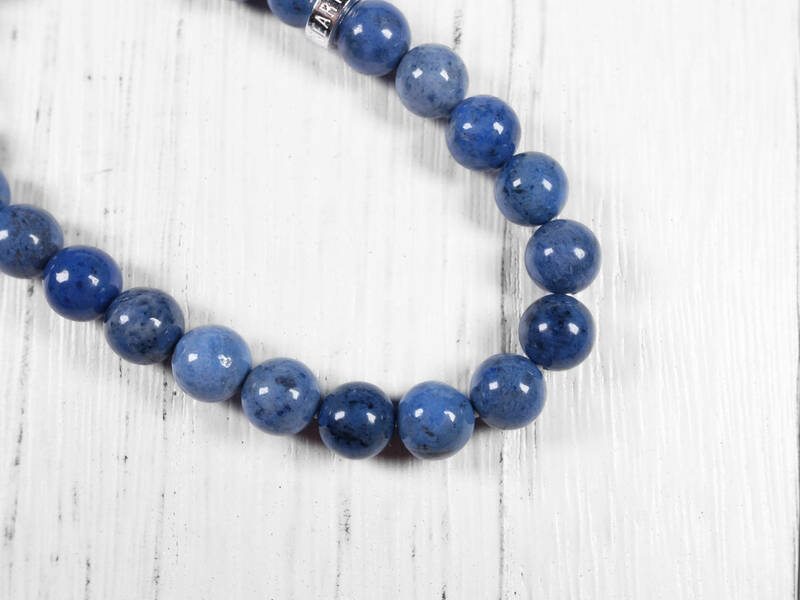 This dumortierite has a vibrant denim blue color. 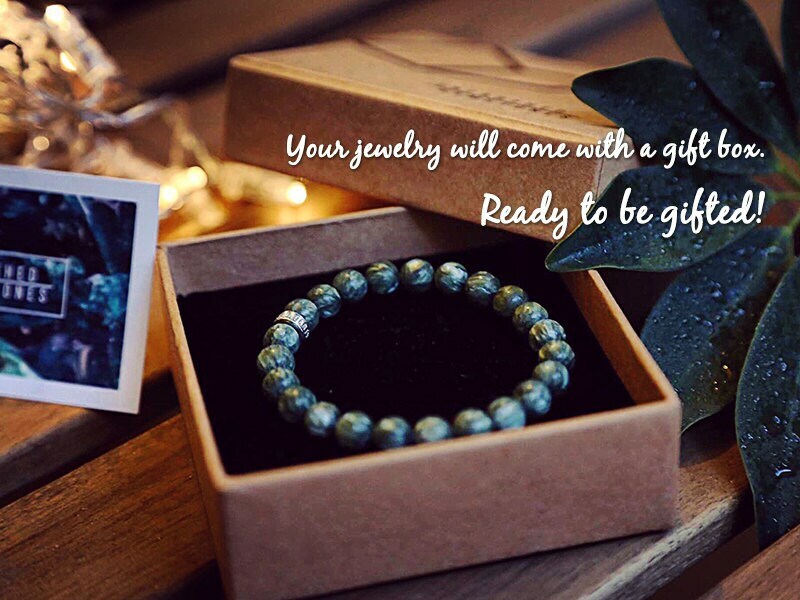 The color is consistent and rich. 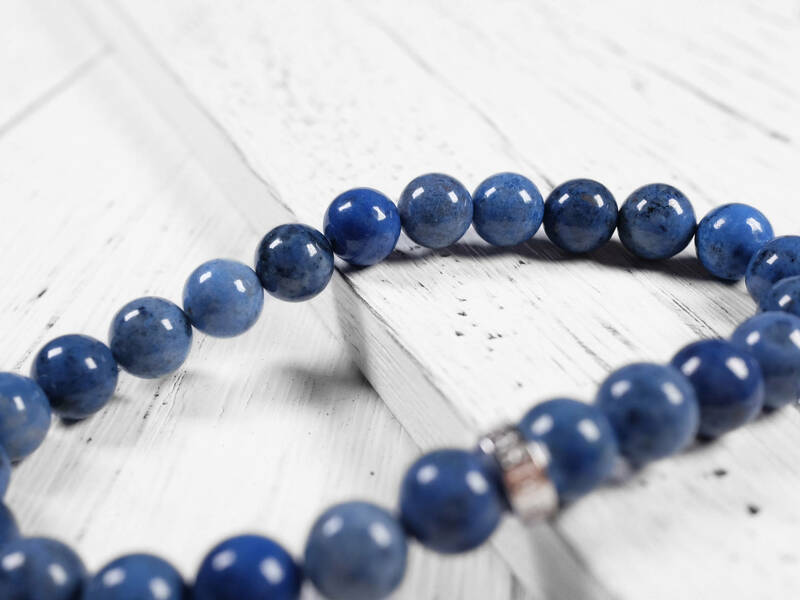 Some darker spots on the beads which are natural to the gemstone. 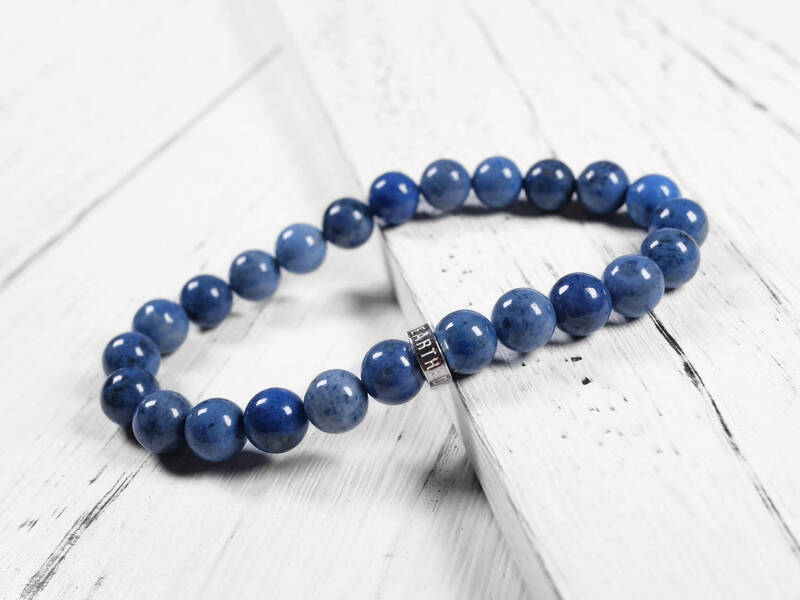 Overall great quality dumortierite. 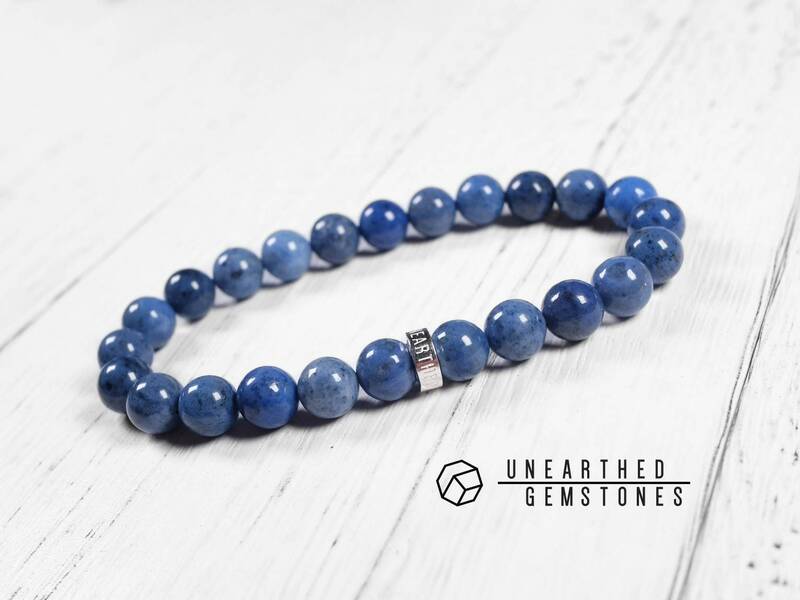 With the Unearthed sterling silver, this bracelet is a great way to wear this beautiful blue gemstone. 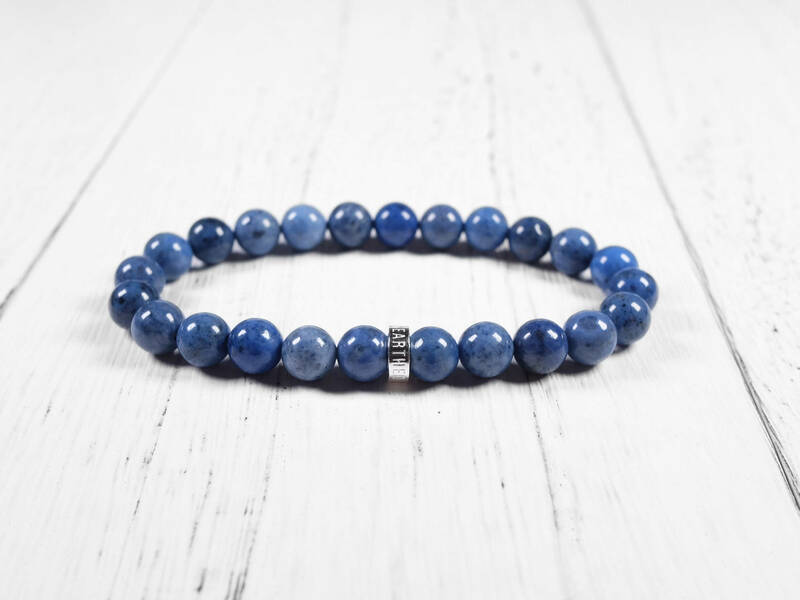 Named after French palaeontologist E. Dumortier, dumortierite is a lesser-known blue gemstone. 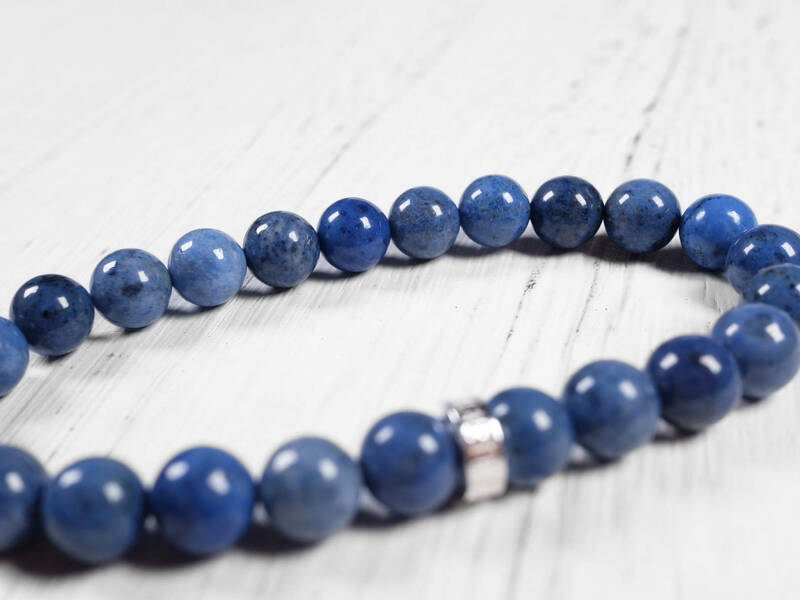 Its appearance can be similar to sodalite and lapis lazuli. 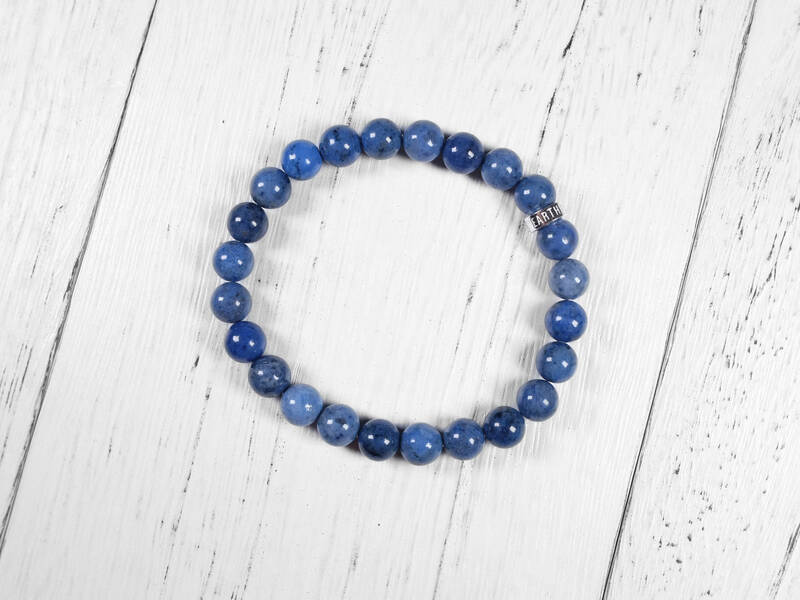 However, dumortierite doesn’t have the white calcite veins of sodalite and gold pyrite crystals of lapis lazuli. 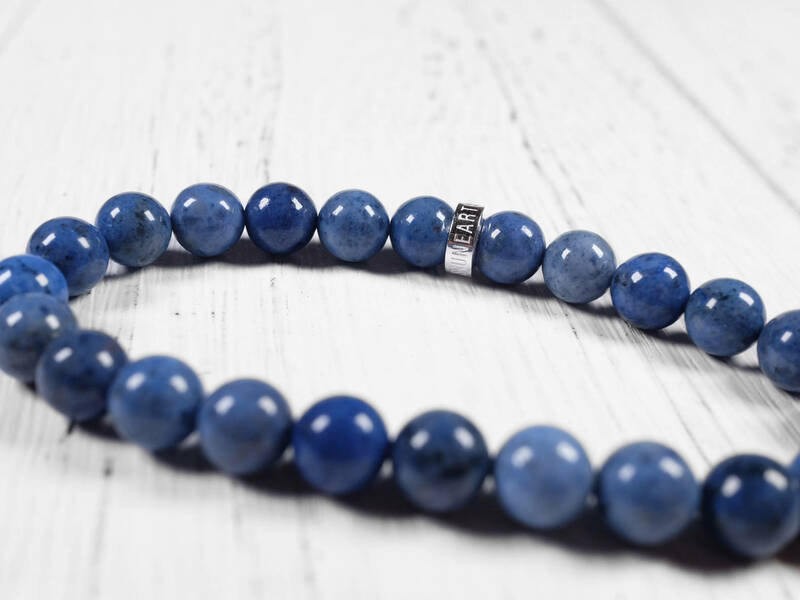 The usual color of dumortierite is a deep blue or a grey-blue. Terrific! 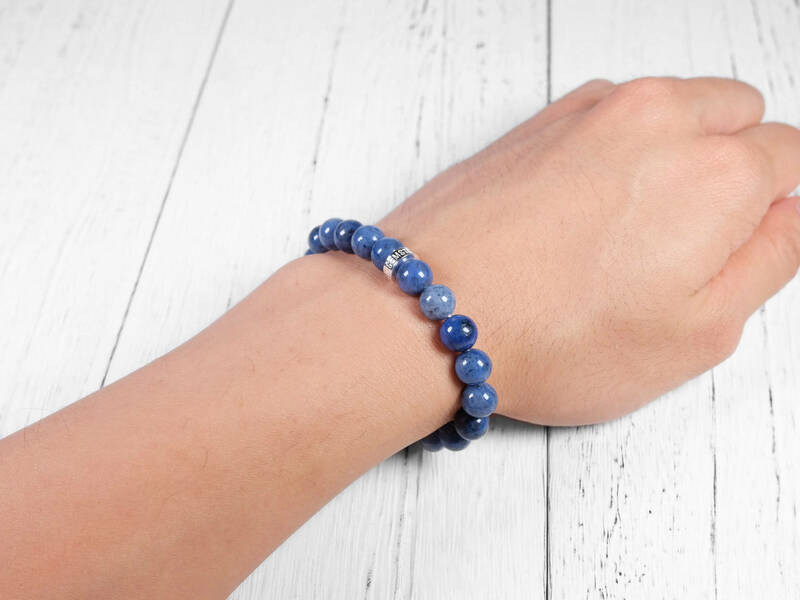 Goes perfectly with denim lapis and looks great with a pair of blue jeans!